The bathroom is one of the areas in most buildings, which usually deteriorate quite fast and easily. And, this is mainly because of the continuous use of water in bathrooms. Even if the bathrooms and toilets are properly cleaned and dried after use, you will always find minor leaks here and there. As a result of this, it is easier for molds to form on the damp areas, putting you at risk of serious health infections. Besides, the accumulation of moisture on certain components of the bathroom could also cause damage to wooden bathroom components and rust on metallic equipment. One of the best ways to preventing such threats is making sure that the bathroom is properly waterproofed. At Waterproofing Singapore, we can perform professional bathroom waterproofing for new constructions as well as existing ones. If after cleaning and drying the bathroom, you still experience wetness on the floors, walls or on other parts, do not assume or wait any longer. Our specialists can always visit your residence or commercial building to properly inspect the bathroom and provide suitable waterproofing solutions. Most people do not usually give better thought to bathroom waterproofing and, this is due to lack of understanding on its importance. There are several reasons why your bathroom should be waterproofed. The following are key benefits of bathroom waterproofing that you should take note of. Without proper waterproofing, water can easily find a way into your bathroom through various weak points along the walls, floors and other parts of the building. Leaks in the bathroom could also give passage for water into other sections of the building, creating serious mess. Waterproofing provides better cushion against water seeping in or out of the bathroom. If your bathroom is not waterproofed, dampness will be a frequent occurrence therein. As a result of this, you will soon start seeing molds and even fungus forming on the walls, floors and equipment used therein. These will not only make the bathroom to look untidy but, also put users at risk of infections. Whenever your bathroom is properly waterproofed, you will not experience cases of dampness. Instead, the bathroom will stay dry for the entire time that it is not in use. Thus, you will not need to invest heavily in heating systems for the bathroom, which could go a long way in cutting down your electricity bills. A well waterproofed bathroom can also add greater value to property, enabling you to fetch better prices when planning for resale. Waterproofing bathrooms shows that you have put a lot of effort in preserving the appeal and functionality of the house. And, this is what will easily convince potential buyers to dig deeper into their pockets. By making sure that the waterproofing of your bathroom is done by a professional, you will not be subjected to recurring toilet leakages and other related problems. In this way, you will also be able to save up on the costs of bathroom repair maintenance. 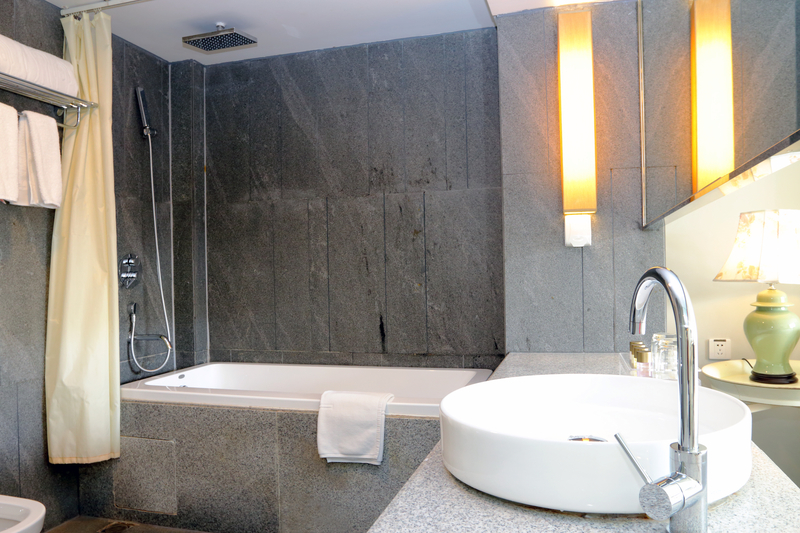 At Waterproofing Singapore, we provide bathroom waterproofing solutions for both new and existing developments. Whenever you are constructing a new home or business property, we can always visit to perform waterproofing. On the other hand, we can also assist with waterproofing bathrooms for existing houses in case you are experiencing leaks or damp conditions in the facility. In every project, we are always keen on providing unique bathroom waterproofing approaches that can ensure lasting solutions. We understand the fact that bathrooms are usually designed, constructed and used differently. As such, the problems experienced also vary from one bathroom to another. In order to deliver the ultimate bathroom waterproofing solutions, we always begin our operations with a thorough inspection. Although you may have an idea of the cause of the problem and affected areas, there could be more. In fact, there could be some hidden hitches that you may not easily unearth on your own. And, these could be easily assumed when waterproofing bathrooms. Regardless of the size of the bathroom, its location in the building or problems being experienced, our specialists will conduct proper inspection beforehand. Based on the results of the inspection, we will first discuss with you the most suitable waterproofing materials and techniques to keep the bathroom in proper working condition. There are various waterproofing approaches that we can pursue in order to revive the functionality and appeal of your bathroom. However, the approach pursued will always depend on the problems experienced, extent of damage as well as your needs. We can effectively fix leaks occurring on various sections of the bathroom including, walls, floor, toilets among others. Even if the leaks are originating from the tiles, we can carefully remove them, seal off all the water entry points and put the tiles back. We offer a wide range of waterproofing materials that will also be applied depending on the hitch being experienced and magnitude of impact. Some of the key waterproofing materials that we use include, waterproof paints, sealants, liquid waterproofing, bentonite, rubber waterproofing among others. When waterproofing your bathroom, we will always choose the best materials, which are safe and long lasting so you can continue enjoying the bathroom without any worries. Even if you may experience the problems later, our specialists can still be sent to your service on short notice. However, we always strive to deliver the best quality workmanship so that all the problems are eliminated once and for all. This will enable you to easily avoid frequent maintenance works on the bathroom. Waterproofing bathrooms can be very challenging if you do not know the right techniques and materials to use. Instead of going through all the hassles, simply talk to our experts. We can always visit you for a comprehensive bathroom evaluation and waterproofing on short notice. Our company offers custom bathroom waterproofing solutions for every budget at the convenience of every residential and commercial property owner in Singapore.